"Our goal is to produce gorgeous, quality products that our customers absolutely love." We looked at a new house last week! Munch and Beastie are SO excited. Munch already started to vocally decorate, telling us who would sleep where, which colours we must choose for each room and exactly what areas of the house would be perfect for certain toys! Actually, we had already decided that we would be decorating the girls' room in neutral colours - probably white - to allow for passing trends and simple transformations! We had seen so many beautiful childrens' rooms on the internet and in magazines that had been cleverly converted into amazing, personal little 'worlds' using wall stickers, decals, pictures and other less permanent alternatives to paint, we knew we could create something special for them without having to get overalls and a pasting table out. Then I discovered Stickerscape, and all of a sudden I was stuck for choice! 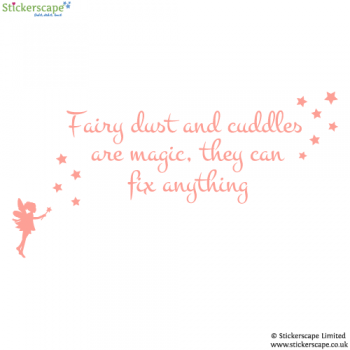 Stickerscape started at the end of 2012 by Jo and Mike, with the aim of designing and producing high quality wall stickers for children’s rooms. They proudly make all their products themselves here in the UK, which means you can be guaranteed that every order receives the care and attention it deserves. And the designs available in their shop are truly wonderful. There are so many to choose from, there is sure to be a sticker to suit everyone. Girls, boys, babies, stickers for walls, stickers for furniture and even some with the option to customise and personalise to suit! Stickerscape's wall stickers are designed to give the appearance of painted wall murals without the need for any artistic skills, which is exactly what we have been looking for. Unlike other wall stickers, their products have no borders around the design and are made from a very thin material. Together, this means that once they are applied they give the appearance of a wall mural (as opposed to a wall sticker!). I really love this idea. Apart from the fact that borders can make the design look less effective, if any of you have a child like our Beastie Boo, she sees the edge of a sticker and is immediately compelled to start peeling! Hopefully, this neater, more professional looking design will deter this impulse as she sees it more as a 'picture' rather than a sticker! Their designs have been created with the view of being able to quickly and affordably transform a blank canvas into any theme you wish. 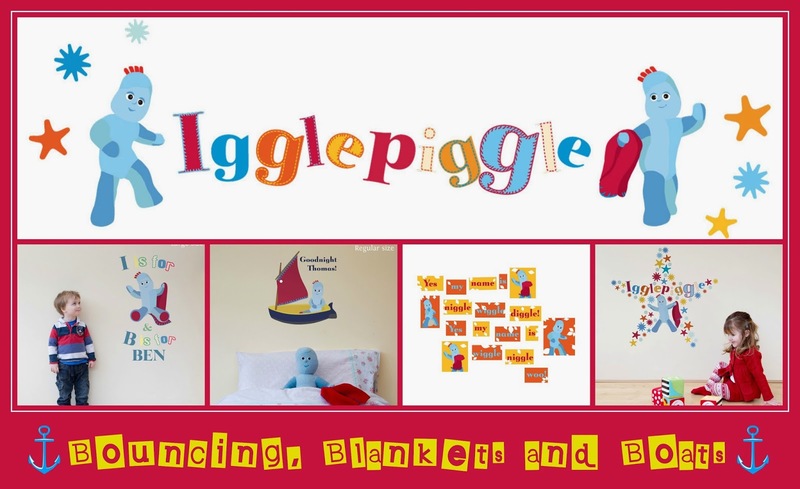 Whichever theme or design you choose the aim is to encourage your little one's imagination to run wild and have wonderful imaginative play fuelled by their surroundings They also offer a number of personalised designs which allow you to create truly unique décor for your child’s room. 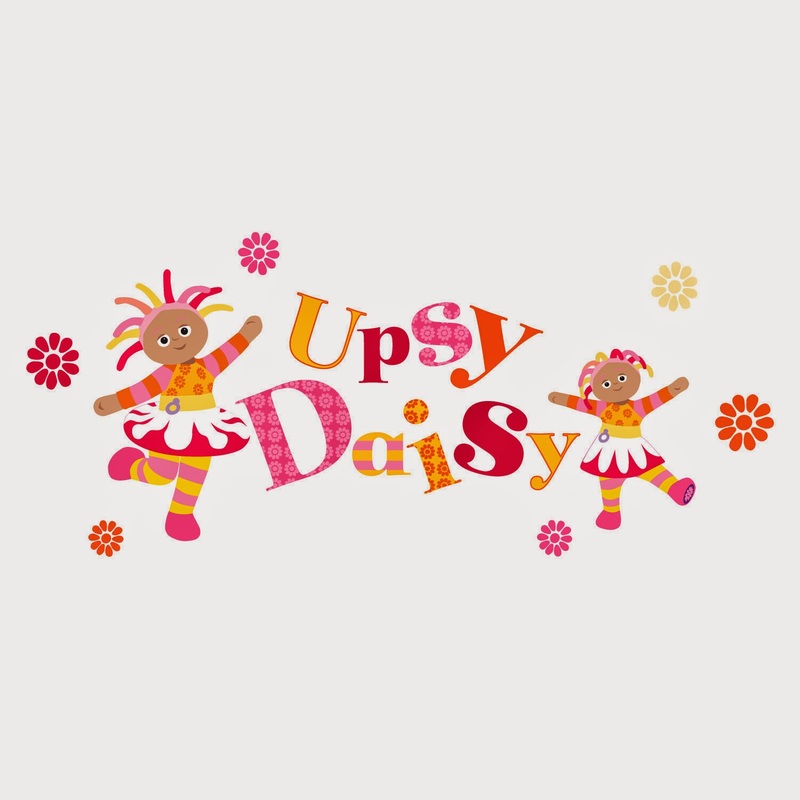 Stickerscape have recently launched their brand new range of In The Night Garden wall art, and anyone who knows our Beastie Boo will know how crazy she is for Upsy Daisy and her friends from the magically enchanting CBeebies show. So when we move in the next few weeks, she will be so excited to discover that her little sleep & play space has been transformed into a little world of flowers, bouncing balls and her favourite characters! I can't wait to see what we can create for her! Munch has already picked out the ones that she believes Beastie will love the most ...! 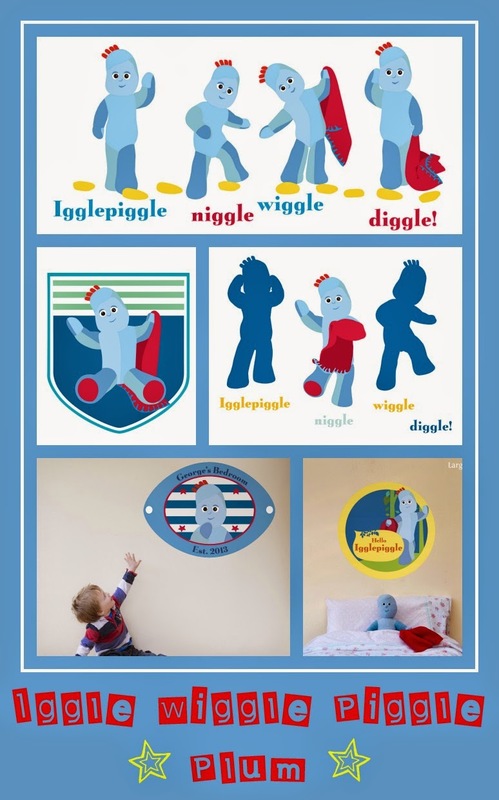 ... And seeing all of the wonderful Iggle Piggle sticker designs too, Munch insisted that Baby Plum couldn't possibly manage another day without some special wall art of his own!! I actually don't think Munch left many designs out from the current In The Night Garden collection! I couldn't comment really, as I was finding it impossible to decide which ones I liked the best. They are all so eye catching and would look amazing on any child's wall! We can't wait to try some out! In the meantime, whilst you wait for our review, how about a giveaway? Would you like to try out some of Stickerscape's wonderful designs for yourself? There really is such a wonderfully vast selection available, you are bound to find something that you like! Why not keep up to date with the latest designs, news and offers by liking Stickerscape's Facebook Page or following them on Twitter? We have been given 2 fantastic prizes to offer to our readers from the lovely people at Stickerscape. The first being a £25 voucher to spend on whatever you like in their Shop, and the second being a regular sized wall sticker of your choice from their new In The Night Garden collection. Just complete the Rafflecopter steps below and 2 winners will be randomly selected within 48 hours of the competition closing! See below the Rafflecopter form for Terms & Conditions. 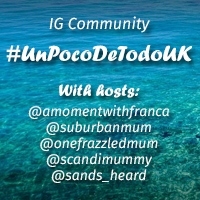 Competition open to UK residents who are 18+ years. The competition will close at 12.00am on Saturday, 19th July, 2014. No entries will be accepted after this time. Two winners will be randomly selected from all correctly submitted entries collected. 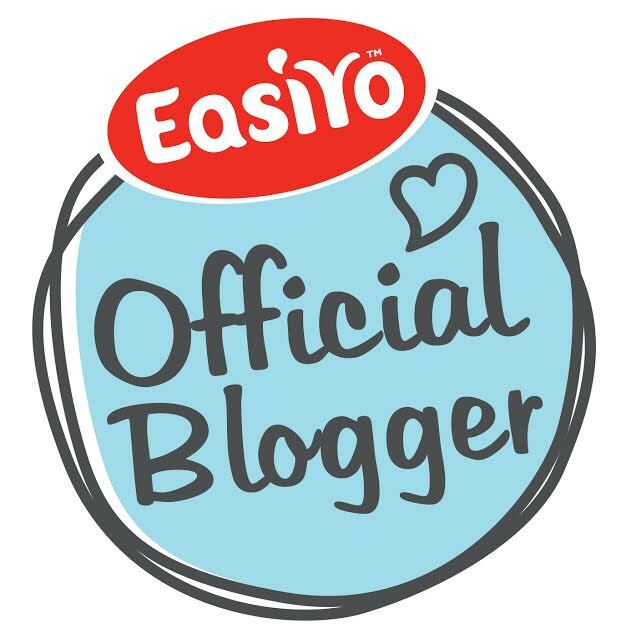 Failure to complete the ONE mandatory requirement (Blog Comment) will deem all your entries invalid and will result in your entries being removed from the selection list. The prize has no cash alternative. The selected winners will be notified of their win via email, Twitter and/or Facebook and have 3 days from being notified to claim their prize. Failure to do so will result in a new winner being randomly selected. No negotiations or conversations regarding the selected winner will be entered into with other entrants. No payment has been accepted for running this competition. I plan to review for Stickerscape in due course, but at the time of this competition going live, no payment of any kind has been made. All thoughts and opinions are 100% our own. I would choose woodland tree with cat and butterflies for my niece. I think my two girls would love the Stripy Horse dancing trio wall sticker! The trains ones so I could cheer up charlies room. I would get the Personalised princess crown wall sticker for my daughter! I would get the Fairy princess castle with clouds for my granddaughters' bedroom. The fairies and toadstools packs for my niece. I would choose classic butterfly stickers for my daughter Joanna. I would choose the Woodland tree, fox and squirrel wall sticker set http://www.stickerscape.co.uk/shop/woodland-wall-stickers/woodland-tree-fox-and-squirrel-wall-sticker-set for my sons as I am redecorating their room at present and they love wildlife and the outdoors. Now you're two, my Beastie Boo! Dear mummy ... No more BritMums! LolliBop are calling all Pirates and Princesses! Inspirational Parents and Carers: Our nomination! Jumping on the Britmums 2014 Wagon!